A determination that an injured worker is at “Maximum Medical Improvement” (“MMI”) is a critical turning point in the employee’s workers’ compensation case. At MMI an injured worker may choose to receive a Permanent Partial Disability rating payment, decide to begin a job search, or may even consider settling their workers’ comp case. So, it is important to understand what Maximum Medical Improvement means, what it does not mean, and who decides when the employee has reached MMI. 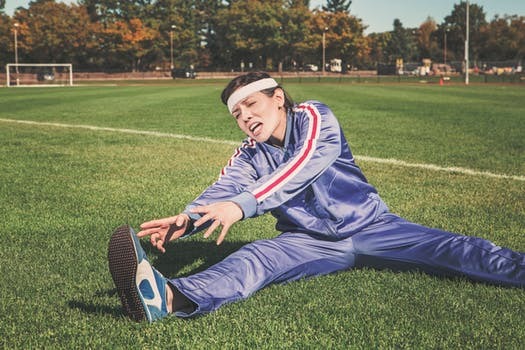 A goal in every workers’ compensation case is to help the injured worker recover physically from his or her injury so they can return to work. It is the responsibility of the employer or its workers’ compensation insurance company to provide medical treatment that will cure the injury, reduce pain or help the employee return to suitable employment. Medical treatment is usually directed by a private doctor who is authorized by the employer or its workers’ compensation insurance company to provide treatment. Maximum Medical Improvement (“MMI”) is the point at which an injured worker has reached the end of the worker’s healing period, the medical condition has stabilized, and the employee is not expected to see further physical improvement. MMI means that while the employee may not be as good physically as they were before the accident, they are as good as they are likely to be. The authorized treating physician will determine when the worker has reached MMI. At maximum medical improvement, an authorized treating doctor may assign the injured worker a Permanent Partial Disability (“PPD”) rating. A PPD rating is an estimate by the doctor of the permanent impairment to the injured body part. A worker may accept payment based on the PPD rating, but many times there is a better remedy available to the injured worker. For more about PPD ratings in NC workers’ comp cases go here. In most cases when the authorized treating doctor determines that the injured worker is at MMI, the doctor will assign appropriate permanent work restrictions. These restrictions affect the kind of work the employee will be able to do. Now that the employee knows the employee’s permanent restrictions it may be time to begin a search for suitable employment. In cases where the injury occurred after June 24, 2011, the definition of “suitable employment” changes at MMI. Before maximum medical improvement the employee must accept any work within the worker’s medical restrictions that is offered by the employer the worker was working for when he or she was injured. After MMI the work must be a real job that meets several criteria. For more information about suitable employment go here. Finally, the point of Maximum Medical Improvement may be a good time for the parties to consider settling the NC workers’ comp case. This is because at MMI the worker knows whether the he or she will have any permanent work restrictions, and what kind of future medical treatment will be needed. A settlement in a workers’ comp case in North Carolina is called a “Clincher Agreement.” Settling a claim is a big decision. An injured worker should think carefully before deciding whether to settle their NC workers’ comp case. For more information about whether to settle a workers’ comp case in North Carolina go here. While a doctor’s determination that the worker is at Maximum Medical Improvement is an important turning point in a NC workers’ comp case, it does not mean the case is over. MMI does not mean that an injured worker’s medical treatment stops. Many injured workers continue to receive medical treatment after MMI, including pain management and yearly doctor’s visits. Medical benefits paid for by the employer may continue for as long as the employee needs the treatment. A determination that the employee is at maximum medical improvement also does not mean that the employee’s wage replacement disability benefits stop. There are clear rules governing when a workers’ compensation insurance company can stop an injured worker’s disability benefits. As an injured worker approaches Maximum Medical Improvement the worker needs to develop a plan for he or she would like to go forward with their NC workers’ comp case. A NC Board Certified Workers’ Compensation Attorney can help. 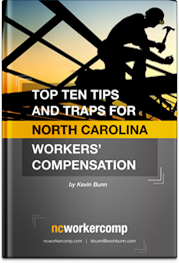 Please call or email for your free consultation with NC Workers’ Compensation Lawyer Kevin Bunn. Kevin represents injured workers throughout North Carolina. His office is in Cary, NC, just outside of Raleigh.